These clutch kits are designed for use with the original dual mass flywheel, and the flywheels can be used with a stock or any stock designed aftermarket self-ratcheting pressure plate. The billet aluminum flwyheel weighs 15 lbs, and the billet steel 25 lbs. For even higher performance levels and more linear pedal feel (our non-SAC Cup kit with flywheel), see the '-2' part numbered kits in this listing. 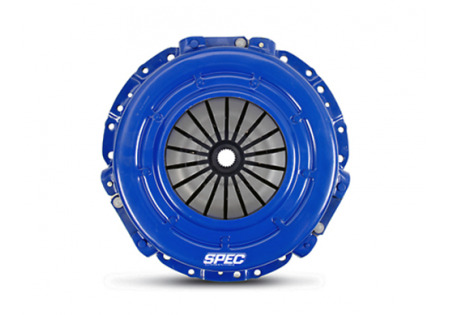 SPEC flywheels and clutch kits are produced in-house with the most sophisticated manufacturing techniques and strictest tolerances to deliver the highest quality products. Stage 1 has a high grade organic lining that is molded with carbon Kelvar which provides smooth engagement and a long lifespan. It has integrally bonded steel backed lining to withstand high temperatures and high clamp loads. The double-sprung hub has a spring cover release to aid flexibility. Heat treatment makes components strong and durable. This kit is good for street and some track and off-road applications. Stage 2 has a full faced or segmented pure steel-backed Kevlar disc. Similar to Stage 1, the lining offers exceptional drivability. Its hub is double-sprung and heat treated for strength. It has capacity for higher torque and lasts longer. This kit is good for autocross, pulling, street and drag. Stage 2+ has Kelvar on one side and carbon semi-metallic on the other. It is a multi-friction disc that bridges the gap between stage 2 and 3. The drivability and engagement characteristics are similar to stage 2 but torque capacity is 15-20% higher. It also has a double sprung hub and heat treated components. The kit is good for drift, rally, pulling, road racing, autocross, drag and street. 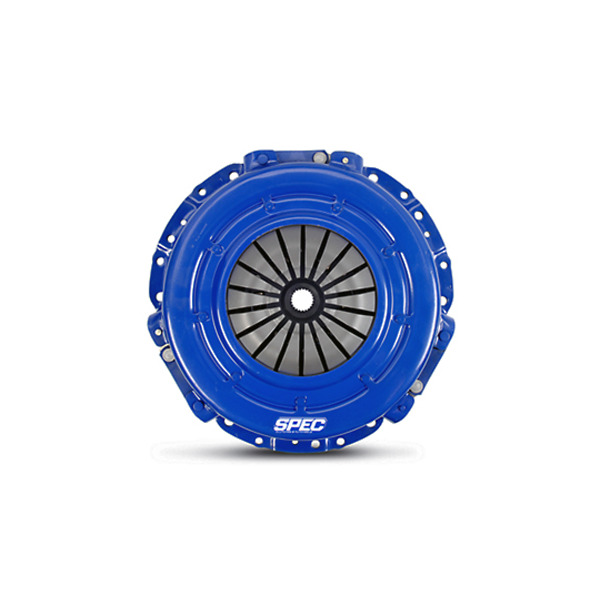 Stage 3 is the best puck clutch in terms of lifespan, drivability and torque capacity. It has a semi metallic carbon 6-puck double-sprung hub. This kit works for race and street cars that need aggressive engagement and high torque. Components are also heat treated for strength. It is also available in 3-puck configuration. The unit can be used for the same cars as stage 2+. Stage 3+ is the flagship for a high powered car that needs user-friendly engagement. It has full faced material made of semi-metallic carbon with unrivaled durability, drivability and friction co-efficient. It has heat treated components and double-sprung hub disc. The unit is good for the same cars as stage 2+. Stage 4 is the solid hub edition of the unit in stage 3. This unit has an 8-rivet solid hub and it is heated for strength. There are 3, 4 or 6 puck versions. The 3 puck is for light options, 6 puck is for very smooth engagement and 4 puck is somewhere in between. Rigid hub is not street-friendly but can be used for other applications. Stage 5 has the highest friction co-efficient because of its full metallic disc. Its hub is a solid 12-rivet assembly and is heat treated for durability. The kit is good for drag and extreme street racing.